When in Rome... 'Men in Black' actor Will Smith is in the country and boy is he having the time of his life! The actor seems to have a lot planned for his tour, including auto rides around the city of Mumbai, taking fun photos with celebrities, shooting a dance sequence on the sets of Karan Johar's 'Student of the Year 2', and visits to Agra and Haridwar. The actor took a trip to Agra last week, where he visited the Taj Mahal. Visibly fascinated by the story behind one of the most visited monuments in the world. 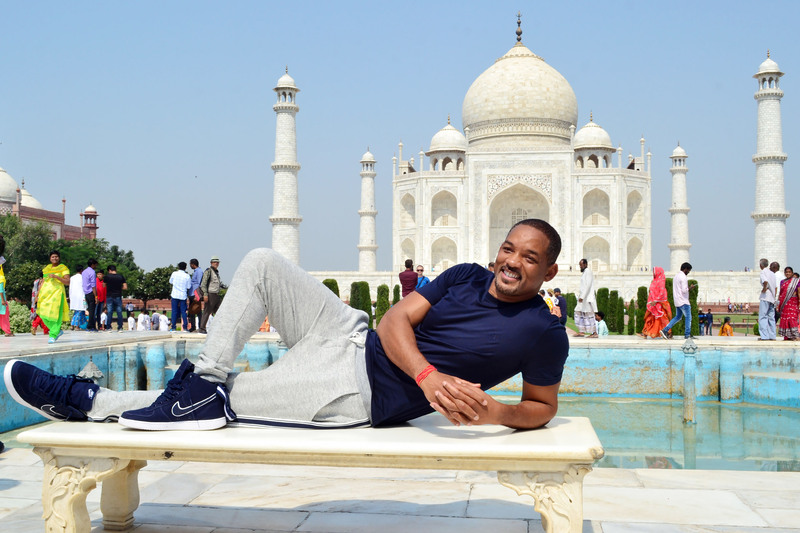 Will posted a picture of himself posing in front of the Taj. He wrote, “A lot of people don't know this... but the Taj Mahal is a mausoleum built for a single person. Emperor Shah Jahan, so distraught over the death of his beloved wife Mumtaz Mahal, preserved her body for 22 years while he built the Taj Mahal as her finale resting place.” Smith also recently decided to visit the beautiful city of Haridwar and also performed the Ganga Aarti. In a video released on the internet, the Academy Award nominee and Grammy Award winner can be seen worshipping Lord Shiva and performing the aarti. The actor was earlier was also seen spending time with Karan Johar, Ranveer Singh, and Akshay Kumar on the sets of 'Koffee With Karan'.